Drs Adam & Debra King’s daughter Sarah thanking the CEO of the Port Macquarie Private Hospital. 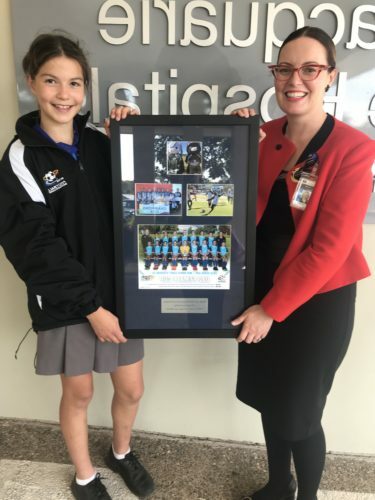 The hospital sponsored the 12 year old girls Mid North Coast football team who won the Kanga Cup, a national soccer competition in Canberra. We have doctors waiting right now to become your own family GP.